I love anything with condensed milk in it. It’s one of the three ingredients in this homemade frozen yogurt! It does require an ice cream machine, but one could also make popsicles with the recipe. From Curbly. Super cute! 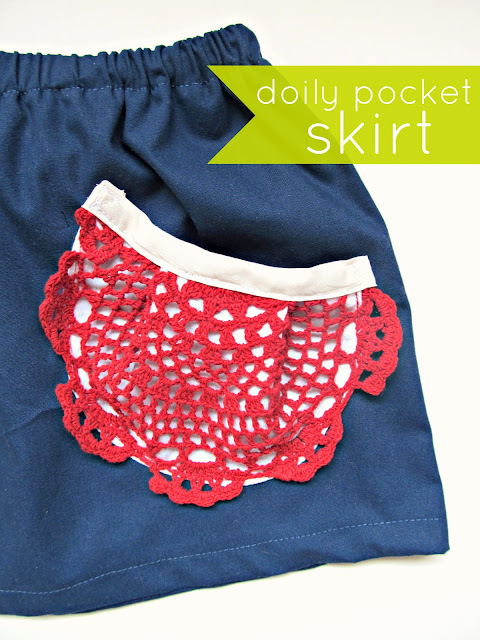 I’d so wear a skirt with doily pockets. Tutorial from Homemade by Jill. 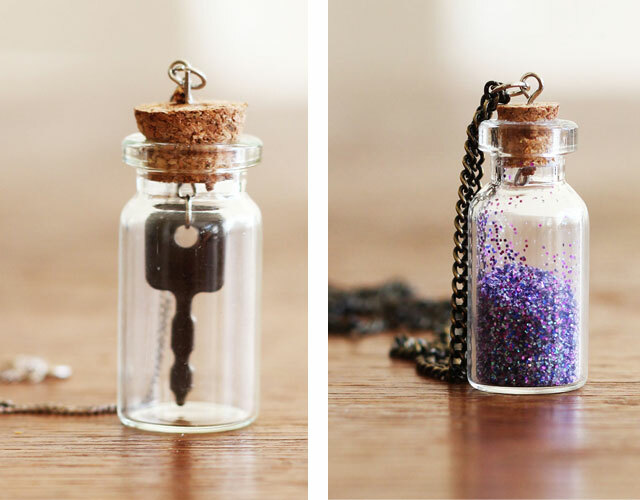 Sweet bottle necklaces. To carry fairy dust, of course. Tutorial from Lana Red. An awesome way to say hello. Polariod pop‐up card, printable on Photojojo. Bright and sweet ric rac flowers, spotted on Ucreate. Have always been fascinated by air plants! This one is even wearable. Air plant brooch tutorial on Craft. Have an amazing start to the week, friends! I know a little girl who would love the ric rac flower. Thank you thank you!